Should you keep taking NSAIDs for pain? NSAID use comes wiht health risks. Use the lowest dosage possible for the shortest period neccessary. If that does not provide adequate pain relief, talk to your doctor about other medications or dosages. 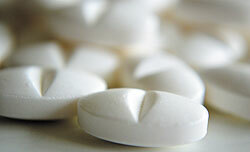 New warnings suggest that even people without heart problems may be at risk for heart attack and stroke with NSAID use.